Romaine lettuce, Swiss Chard, Cabbage, and Broccoli will be sold for minimum $3.00 donations. Bedding Plants - $1, and various other plants/terrariums will be sold for $5-10. Fertilizer will be sold for $5.00/half gallon. Cash or checks payable to Harris Middle School. The Harris Garden welcomed about 20 students outside to tour the garden and explain the opportunities they had to be involved in such an incredible space. They also replanted the beds at the front entrance to the school to prepare for our Wellness Fair. They did a great job, and are excited about more ways they can learn outside. 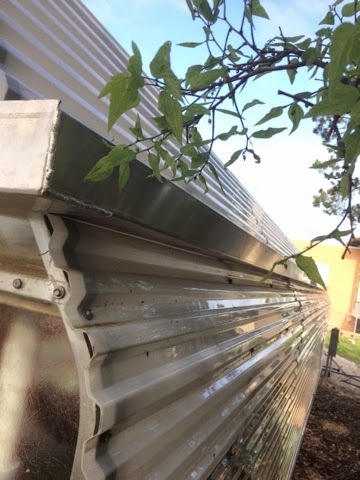 The Harris Greenhouse installed its gutters today! Now, we can catch rain water!! We are in need of help this Saturday to get our garden prepared for Spring. 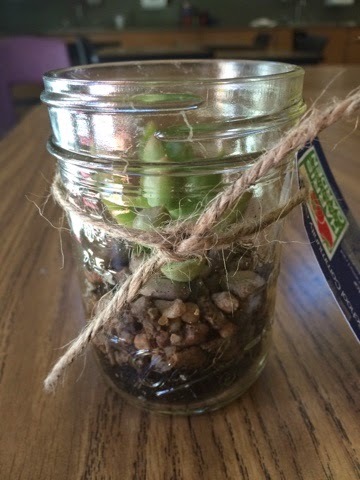 The students made terrariums to sell for Friday night's plant sale. 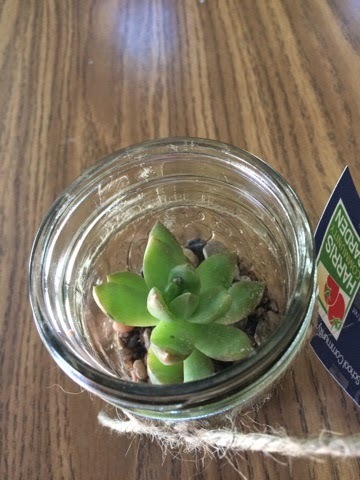 They are 8 dollars and will help support the garden. No pre-sales, so come to the plant sale this Friday from 5-7pm during the Welness Festival! The Green Team was founded on the notion that students could be a part of positive societal change. Windwehen took her AIM class (like a study hall class), and turned them into environmentalists. Daily, they not only manage the garden, but some of the many things they learn are: propagation techniques, plant nutrition requirements, composting techniques, greenhouse management, irrigation techniques, and floral and horticulture plant identification. They learn by doing and serving, or experiential learning. From harvesting vegetables for their teachers and families to teaching community members how to garden, this group of 6th, 7th, and 8th graders are no everyday team. After 5 full years of success with the Green Team, she was able to turn the course into one that will allow students to earn high school credit, and set them up for a successful future in environmental and horticultural science. She teaches this class in one of her seven periods each day, but during these 45 minutes, they do more good than most can comprehend. They are positive change makers, environmental leaders, peer teachers, and are learning science in the most extraordinary ways. 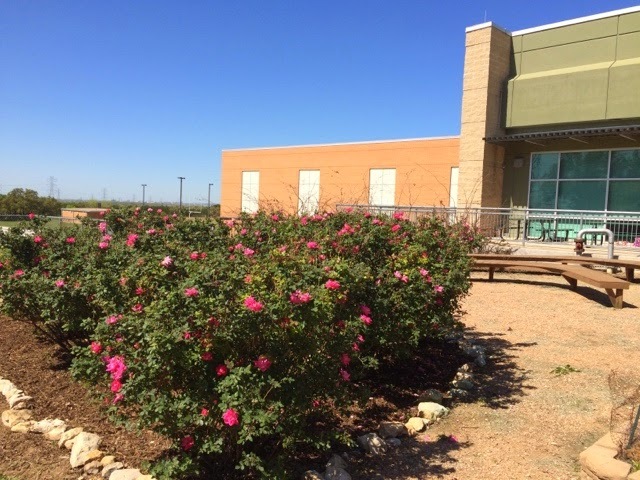 The Harris Middle School Community Garden was created in 2009 by two teachers, Lacey Trevino and Loryn Windwehen. 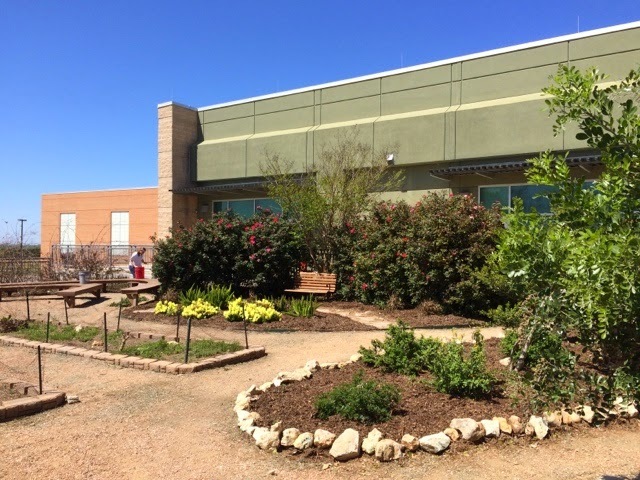 Behind the school was a barren field of Bermuda grass and dirt surrounded by a wooded nature area of Oak and Juniper Trees and other native shrubs. Trevino, a phenomenal art teacher, saw the potential the space had, and applied for a Lowe’s Toolbox for Education Grant in the amount of $5,000. With this seed grant and many, many community donors as well as district support, a fence was installed around the area, and a nature area was preserved and structured in order to allow for one of the most impressive natural spaces in the entire county. Trevino recruited Windwehen, a science teacher, to join her in her efforts of building an outdoor classroom. 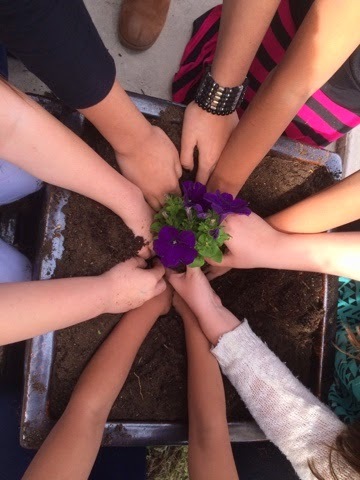 Windwehen’s Horticulture background and desire to involve students in the process inspired her to create “The Green Team,” which was a club that meets daily as an elective class. 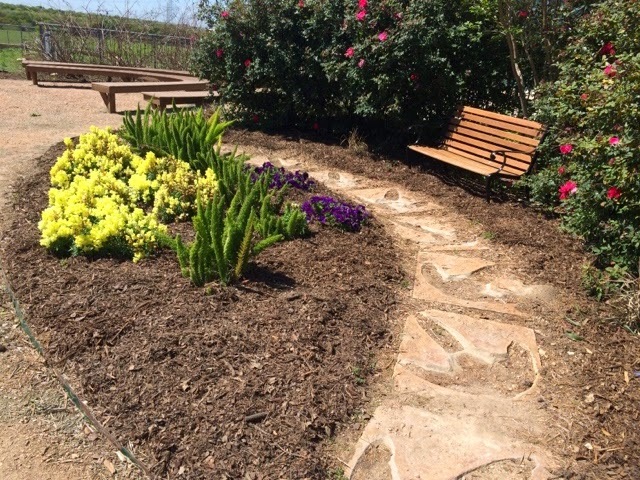 After Trevino and Windwehen saw the success from the two small beds installed by an Eagle Scout, they knew they could expand it into something bigger. Trevino used her exceptional organizational leadership talent and skills and called upon community experts. 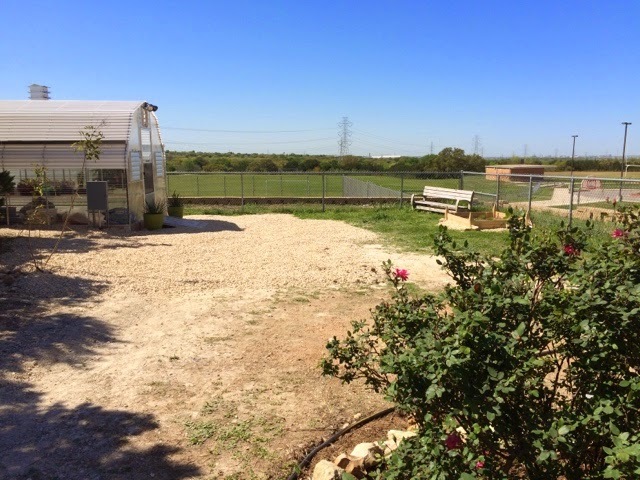 After an architect drew up the plans for the space, NEISD maintenance and engineering constructed the area, leaving behind an empty landscape. All that was missing were students and plants. 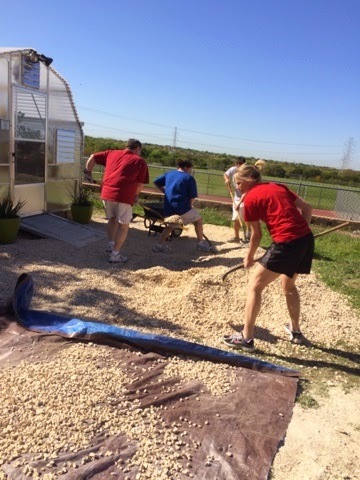 Every plant in the ground was put in by the Green Team students, and since then, they have turned a blank space into an area with native trees, blooming plants, 2 large vegetable growing areas, 2 sheds, a hydroponic growing system, a native trail, a composting area, and a greenhouse. The area is home to students, teachers, and community members. Students have become leaders, teaching each other, their parents, their teachers, and community members. Community ed classes and parent/student classes are held where all individuals are learning from one another. In many cases, before they enter our program, they have little to no horticultural knowledge, and leave inspired to make environmental change. Together, Trevino and Windwehen estimate that over $120,000 in grants, monetary and physical donations have been put into the program, averaging about $20,000/year. 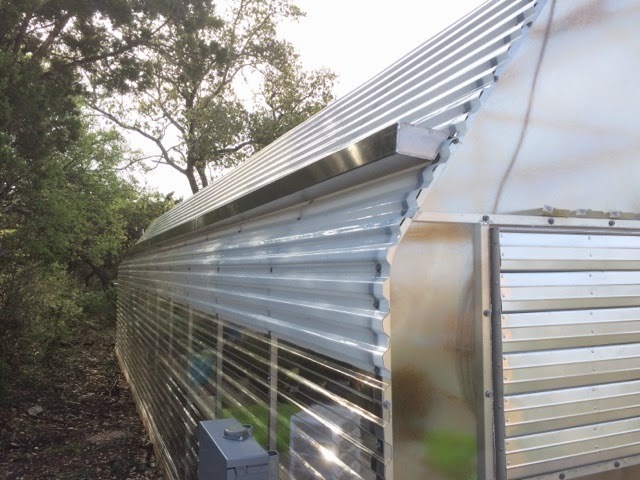 Trevino and Windwehen have worked together to bring a tremendous amount of positive attention to the school, and their most recent accomplishment is being awarded $20,000 from the San Antonio Spurs to install a greenhouse. It is truly one of the most unique educational spaces in all of education, and one that hasn't come about easily. Currently, they are working tirelessly to complete the installation of the greenhouse complex, and once this is complete will begin sharing their success with others. Lacey Treviño is an art teacher at Harris Middle School in San Antonio, Texas. It is her philosophy that the most successful people are those who can take a creative approach to problem solving. As a middle school art teacher, she is not trying to train the future artists of the world, but is trying to plant creativity as a backbone in their lives. She believes that future artists are only a perk. One of the ways that she has planted creativity is in the vision, foundation, and growth of the Harris Middle School Community Garden, a project she started in 2009. Treviño is not only known for this, but also the numerous awards her art students and she has earned. This phenomenal educator, in under 13 years, has won more awards than most educators in America. Just to name a few, she was the recipient of: The Team Up Challenge Contest, winning a total of $22,500 for her school; the HEB Trust for Teacher Excellence Award; The National Doodle for Google Student Winner, earning $25,000 for her school; the Lowes Toolbox for Education Grant which started the garden at Harris, The National Gold Seal Scholastic Student Winner, and was the 2013 Harris Middle School Trinity Prize Winner as well as the NEISD Overall Trinity Prize Winner in of Excellence in Education. She is a leader among her peers and known for creating wonderful relationships with students. In addition to being the co-founder of the garden, she continues to write grants, win awards in all areas of her practice, and empower and equip her students to reach their creative potential. In fact, she alone has won over $100,000 in monetary grants and awards to not only facilitate the groundbreaking of the Harris Garden but to add innovative technologies to her art department. She has put Harris Middle School and NEISD on the map on more than one occasion. She is a passionate educator with extraordinary talent, and consistently goes above and beyond in all that she does in life. Loryn Windwehen is a 7th grade science teacher at Harris Middle School in San Antonio, Texas. She has been teaching for seven years and her passion and love for her career continue to grow. Creating engaging curriculum and meaningful relationships, while being a leader to her peers, are at the forefront of her priorities as an educator. Windwehen was named the 2012 Overall Teacher of the Year for NEISD, 2012 Region 20 Secondary Teacher of the Year in Texas, received the 2012 Kens5 ExCel Award for Excellence in Education, known as the “Golden Apple Award” for teachers, and was a 2012 state finalist in the HEB Excellence in Education Awards under the Rising Star category. In addition, she has been selected for numerous National fellowships including one in partnership with the National Institute for Standards in Technology in Washington, D.C.; one of seven “America’s Teachers” at the I/ITSEC Conference in Orlando, Florida – a conference on modeling and simulation in conjunction with the US Military; as well as a competitive fellowship sponsored by the National Science Teachers Association. She was one of 38 educators in the nation selected to travel to Brazil as the representative for the state of Texas as a part of the NEA-Pearson Global Fellowship Program, and most recently was chosen as the only teacher to represent Texas in the competitive fellowship, America Achieves Fellowship of Teachers and Principals. She is the co-founder of the Harris Middle School Community Garden and the founder of the Harris Middle School Green Team, an elective class she teaches daily. She and her students worked together with Trevino to win a total of $22,500 dollars as Team Up Challenge Champions. With this, they have installed a greenhouse facility and rainwater harvesting tank for the students and community to use. She is excited about all the ways she can use the entire garden facility and continues to build it's impact more each day. Her primary purpose is to enable her students to be societal leaders, motivated to make positive environmental change while always giving back to others. Trevino and Windwehen are so grateful for the professional working experience that they have been given, and the opportunity to build on each others' gifts and share those with their students, co-workers, parents, and community members. It is estimated that together, they have raised and won over $120,000 to make the Harris Garden what it is today. The garden's funding has come from external sources outside of the campus due to their determination to keep it running; despite the financial deficits the educational world sees. Their desire to impact change, better their profession, and promote positivity in education is infectious, and the synergy in their collaborative relationship is a rare find in this profession. What is best for kids and has always been their primary focus, and they have stopped at nothing to see that their vision is being implemented fully. They've often been called "The Dynamic Duo," and have had the time of their lives creating one of the most unique educational spaces in all of education. We need your help sharing and coming to our events! We have been working so hard all year to prepare for our Spring events and they are finally here! We need your help - please share this link (here is the link to the flyer to print and share Spring 2015 Events), our Facebook post at Harris Middle School Community Garden, or forward this email! Saturday, 3.21 from 8:30-11:30 is our annual cleanup! 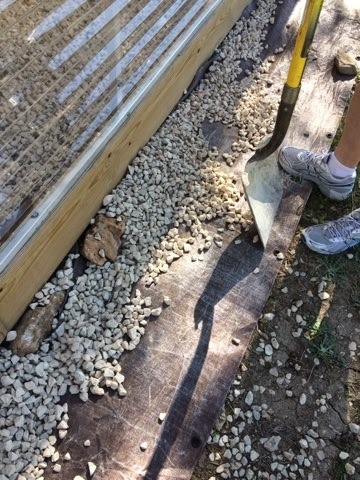 We need lead volunteers to help us with projects on this day - (spreading limestone rock, building a fence, replanting our succulent bed, re-mulching the native area, and garden trails, etc.). Please email lwindw@neisd.net if you can help, and thank you so much for sharing!!! HCG Presents Seeds of Change! PDF Flyer to PRINT AND SHARE!!!!! What: Seeds of Change is an organization made up of students, parents, teachers, and community members who desire to promote environmental and horticultural sciences through peer service and education. Who: Students of 3rd-12th grade* may attend, but MUST have their parent accompany them. Students without their parent with them will not be permitted. *Harris Middle School Staff Members may bring any age student to the event, but also have to attend with their child. Where: Harris Middle School Community Garden - enter through the front doors of HMS, and go to the back of the school past the fine arts wing. How: RSVP to lwindw@neisd.net or complete this form: RSVP HERE!!!! VERY limited spots available, so sign up and hold to your reservation! The form will close once we have reached our cap.